In various learning problems data can be available in different representations, often referred to as views. 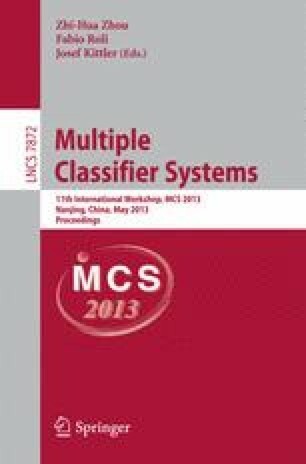 We propose multi-class classification method that is particularly suitable for multi-view learning setting. The algorithm uses co-regularization and error-correcting techniques to leverage information from multiple views and in our empirical evaluation notably outperforms several state-of-the-art classification methods on publicly available datasets. Furthermore, we apply the proposed algorithm for identification of the pathogenic bacterial strains from the recently collected biomedical dataset. Our algorithm gives a low classification error rate of 5%, allows rapid identification of the pathogenic microorganisms, and can aid effective response to an infectious disease outbreak.